Dr. Idalmy Maldonado, who was brought to San Nicolás as a result of the social audits, explains how patient records are filed and categorized. Honduras has historically been plagued by stubbornly high rates of maternal and infant mortality. In a country where almost half of the population relies on its government to provide health services, the nation sought to address the issue by adopting a new national health model in 2013 that focused on providing more coverage to rural and poor areas and emphasized preventative care and maintenance as a way to improve public health. 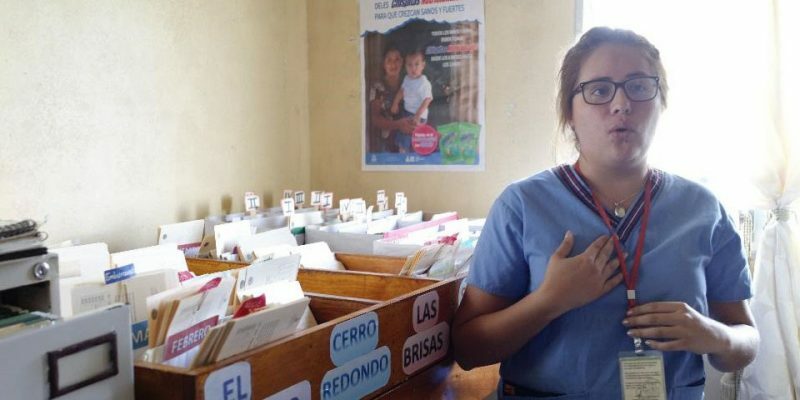 Since then, Honduras has made positive strides in combating infant and maternal mortality as well as other issues affecting the health of its citizens. However, while implementation of this model began in earnest in 2015, it has been ad hoc and inconsistent. Now, as part of a small sub-component of MCC’s $15.6 million Threshold Program in Honduras that seeks to help the government become more efficient and transparent, Honduran grassroots groups and NGOs are conducting audits of rural clinics to improve the country’s delivery of healthcare to its citizens. A social audit illuminates the standards of care that the health centers should provide to community members. The process assesses the quality of care patients are receiving, informs health center managers of the findings, and managers then propose a plan to improve services. The community then has the opportunity to monitor the implementation of the improvement plan. As a result of these audits, many clinics now clearly display their services, and doctors and nurses engage directly with patients to discuss diagnoses, needed medications, and preventative care. 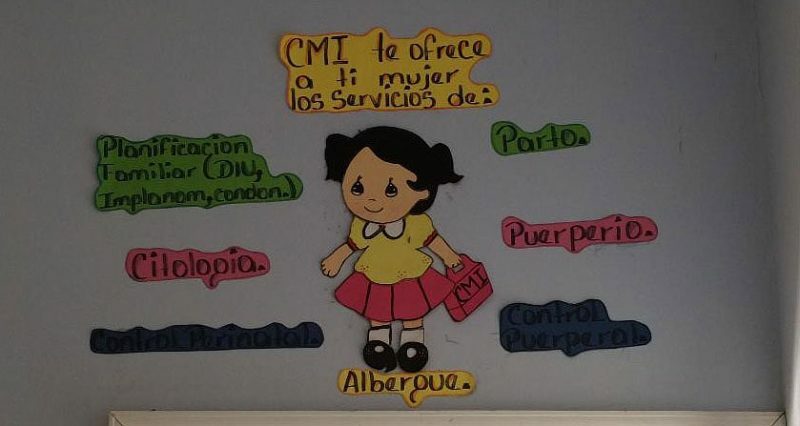 A sign at a medical center informs patients of the kind of services offered this location, which is dedicated to maternal health. The social audits are providing an immediate impact in the parts of Honduras’ population that need it most. In the process of strengthening their local capacity, these various grassroots organizations are also becoming important actors on the front lines of combating corruption by empowering their communities to hold their government accountable to services that, by law, it should offer. Under Honduras’ new national health model, medical units map out communities to determine the total patient population and its needs, and staff are required to follow up with patients, even go to their homes if necessary, to explain recommended treatments and preventive measures patients could take. 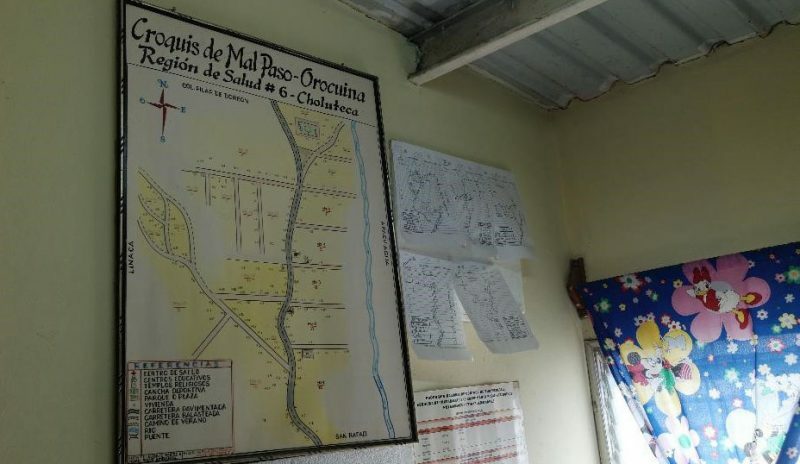 A poster maps out the patient population in a town in the Choluteca region, helping to target patient outreach, track pregnancies, chronic illnesses, and infections. Thanks to the social audits in these rural areas, implementation of the 2013 national health model is improving, and community members are experiencing immediate and tangible results. The MCC threshold program is working to build a future of greater economic growth and sustainable prosperity for the Honduran people. By auditing the quality of patient services at local health units, the groups carrying out these social audits are helping to build a robust and informed civil society that is better prepared to hold their government accountable for delivering quality basic services.